Week Three: We worked on the electrical installation of the new outlets, lighting, fan and switching. 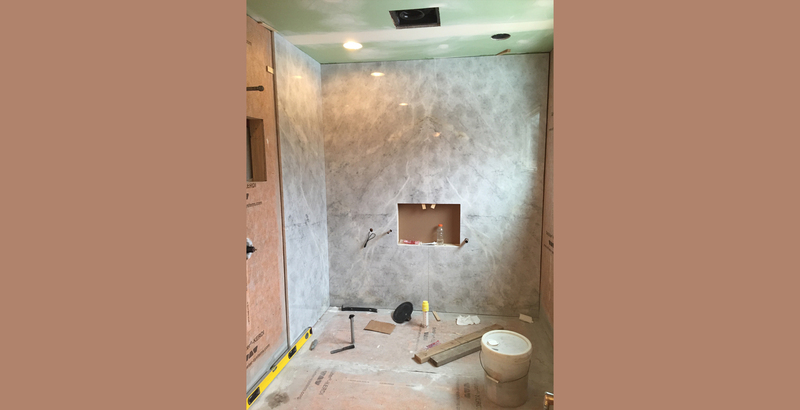 We also introduced a moisture-resistant, green board ceiling to prevent any possible moisture damage in the future. 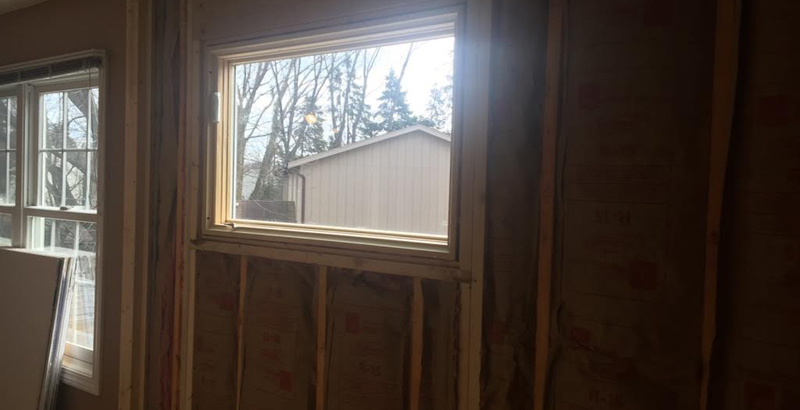 This week’s renovations also provided the biggest leap forward in the overall enjoyment of the space by showcasing a brand new Pella casement window to bring the daylight into the bathroom. 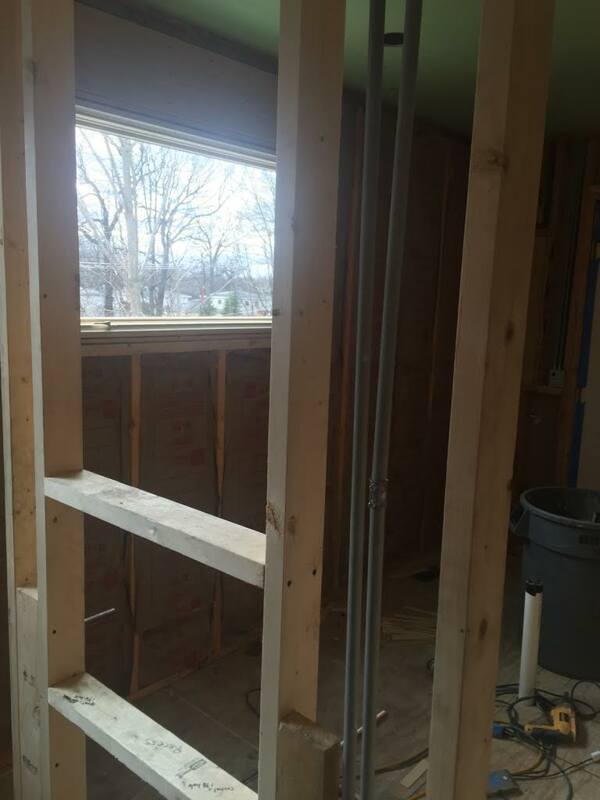 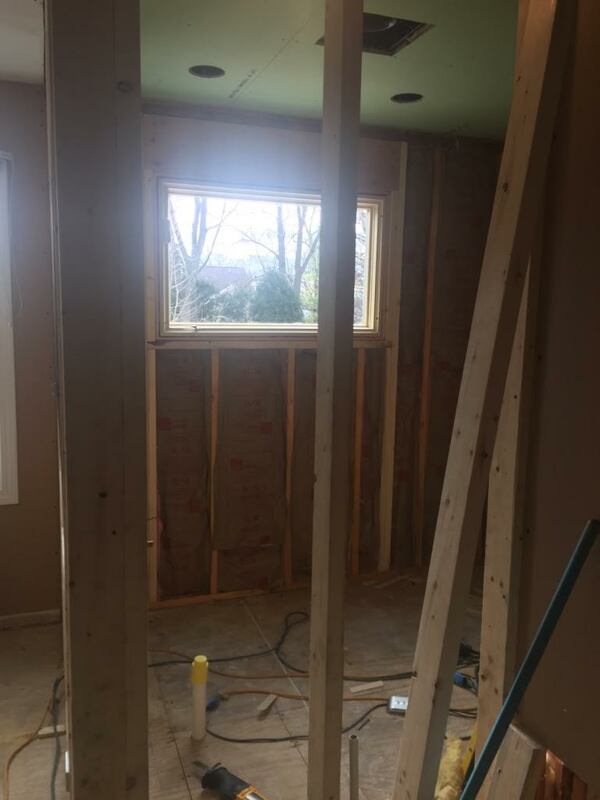 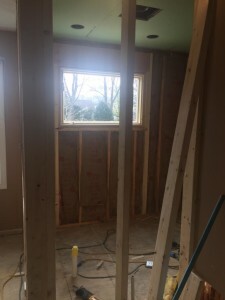 We had hoped for Drywall this week, but were hindered by Chicago’s unseasonably warm weather and rainstorms that delayed the cutting of the hole for the window. 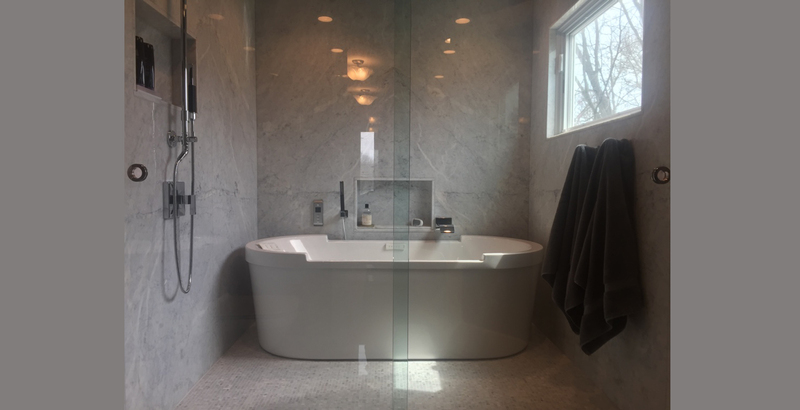 We plan to have a wet area featuring a tub and shower that will be divided by a shower curb and a full-height glass door from the dry area, which houses the toilet and weight scale.